Hands up if you are not the morning person! Well, funnily enough I used to be one of those people but since the heat and busy season has arrived on the Amalfi Coast, I have always woken up early here. You wonder why? The mornings here are the best part of the day. It’s the part of the day where life begins in Amalfi, where there are no tourists and it’s lovely and cool. 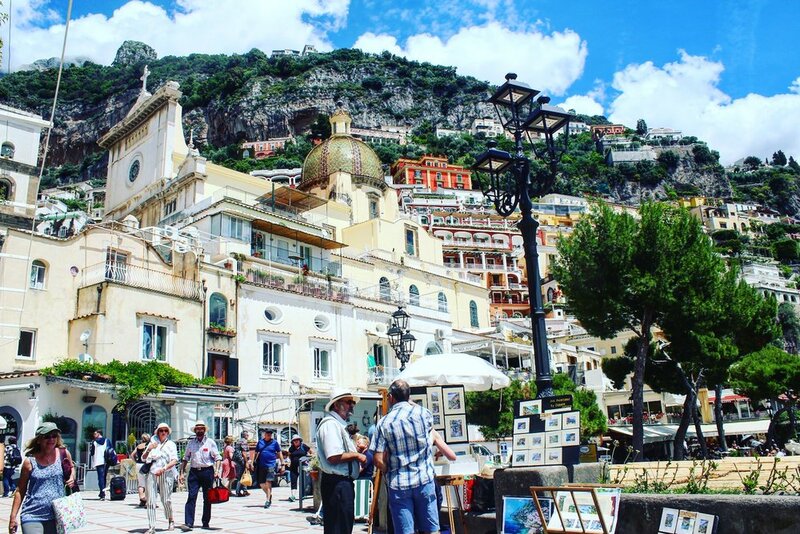 It is also a great opportunity to capture your ideal photographs of Amalfi without someone photo bombing in the background. The mornings are cooler and are a lot more of a convenient time to explore the town. Wake up early and take a cappuccino at a stand up bar with an accompanying nutella croissant! 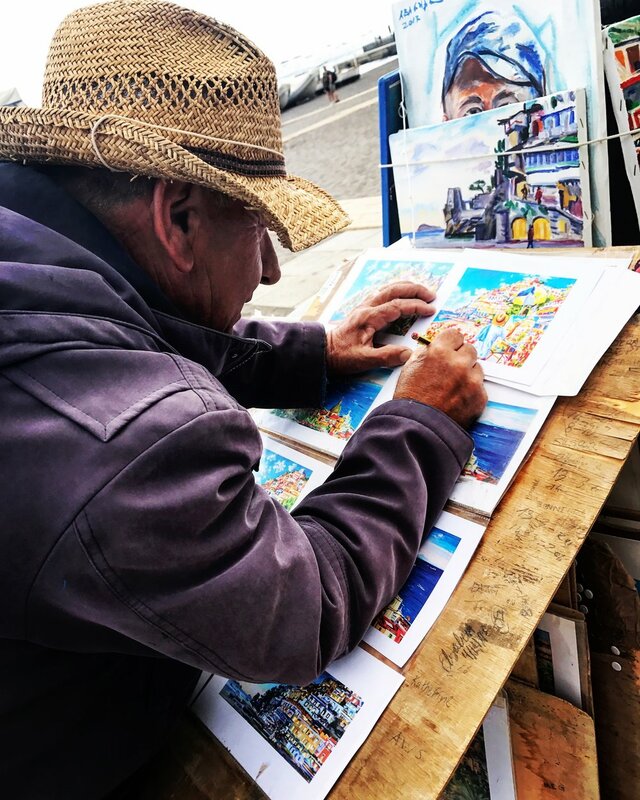 Then after you have overheard the locals conversation about what their day will consist of, go on your way to experience the true Amalfi that people rarely see. Andrea Pansa bakery, sneak peek! Each town is lit and exposed at different times of the morning . They all come into their element when the sun beams on the town, the town awakes and the day begins. 6:00am under the Saint Maria Magdalena the sky is painted in purples and pinks. Castiglione is still in darkness as the sun hasn't peaked yet. This is a perfect time for a cool swim. 6:45am the sun sets the Torre de Saracene on fire. The watch tower is being used again to signal this time to the Amalfitanas; it’s time to wake up. Then we come to the Duomo where its in absolute prime at 7:00am. 7:30 the Cathedral of Saint Andrea is bathed in gold. Just me by myself! It's hard to believe that within 2 hours this place will be flooded with people! 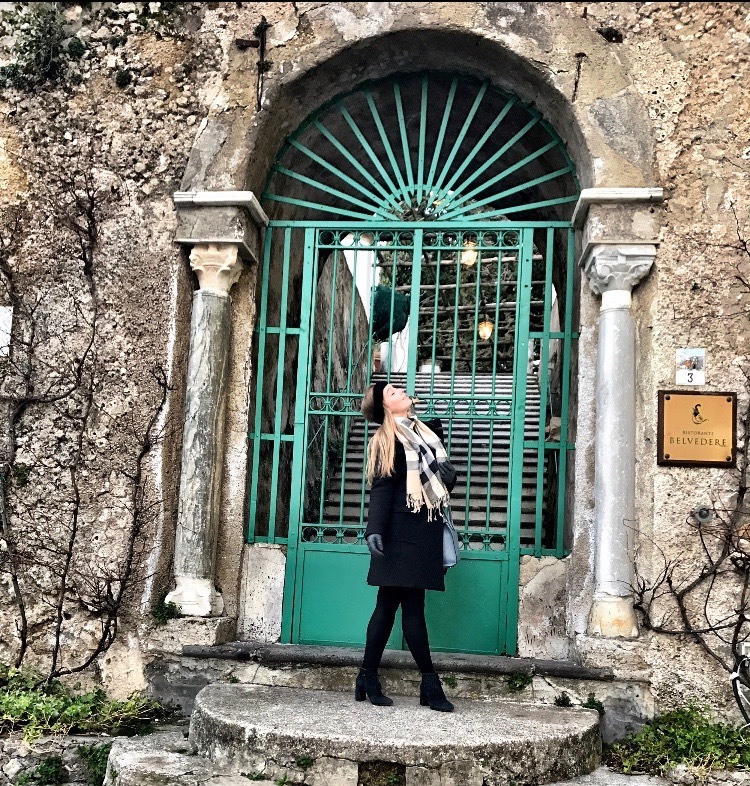 All towns have been exposed to the Mediterranean sunshine, all except the little town of Minori that is tucked secretively in front of the mountains. The sun hasn't touched Minori and won’t until 8:00am. 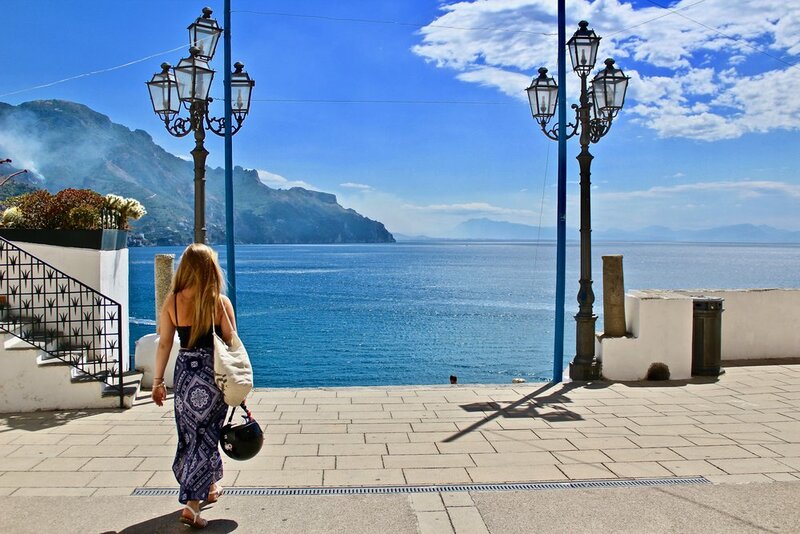 The mornings are my favourite part of the day to explore the Amalfi Coast. I am yet to explore Positano and Ravello in these early hours but they are on my to do list. I would love to go to the hotel Belmond Caruso infinity pool to capture the sunrise. Life begins with the sun and the day begins for so many people that we don't think about, the bakers in Andrea Pansa are baking up a storm meanwhile the great pescatore are reeling in the fish ready for market. There’s no one here, just me and the delivery trucks and the street cleaners. Tips: For photographers, this is the golden hour for all of your photos. Tell Amalfi’s true story. Follow the light and you will receive some exquisite shots. Light is an essential ingredient in composing some brilliant memories. Why go shooting at this hour? Well, for one thing there is no one around which is a very good bonus, you are guaranteed to have the location to yourself. The light sets a dreamy mood, setting the perfect tone and touch to your photos. Finally you will not burn alive you will simply stay cool, calm and collected. A Vegemite girl living in a world of Spaghetti.